1 April 2017 – Life Is Such A Sweet Insanity. So with Earl out of town this weekend, the weather not being conducive to flying and it being April Fools’ Day, I decided to go for a road trip in the Jeep. I am currently stopped at a Starbucks in Worcester, Mass. on my way home, after making my way on the “back roads” to get from Central New York to suburban Boston. The sign above is from the intersection where one would turn to go to an apartment I lived in back in 1989 and 1990. From memory, without GPS and without any paper map, I was able to drive to all four locations that I lived at between 1988 and 1990 when I worked for Digital, then the second largest computer company in the world. Many of the old Digital (or commonly called “DEC” by non-employees, DEC standing for Digital Equipment Corporation) buildings are still for lease. Digital was purchased by Compaq in the late 1990s, which in turn was purchased by Hewlett-Packard. Had I stayed with Digital, I could be a VP at HP by now, but that was not meant to be my destiny. I have lost contacts with all but one friend in this area and outside of Facebook I had no way to get a hold of her. I can see Earl and I coming back for a visit on another road trip and then I’ll give Donna (my friend) proper notice so we can get together for lunch or something. The OCD in me likes to plan these things out. The direction of road trip was inspired by a dream that I had last night. Actually, the dream was right before I jumped out of bed for the day. It was a frustration dream about working for Digital but with modern technology and not knowing how to log into the network with this new equipment. When I worked for Digital, the computer at my desk was a Digital Rainbow 100+. That was supplanted by a Digital DECstation 386 running Windows/386, as we were testing Windows connectivity to our “DECnet” network products. I was a pioneer of Windows testing back in 1988. Some dialog boxes haven’t changed since then. 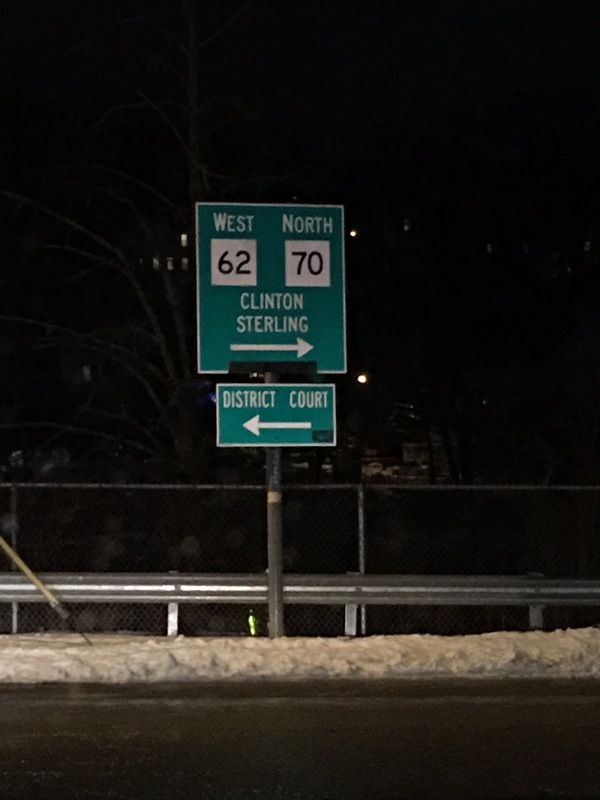 I had one personal demon that I needed to address while I was in Clinton, Mass. Since I feel like a rejuvenated man after this recent surgery, I’m trying to get rid of my old baggage. I don’t have many bags to get rid of, but this one has been lurking in the back of my brain since 1990. Some things are not meant to be shared in public, and the details of this one thing fits that category, but I’ve made my peace with nature and universe, standing in the rain under the cover of the dark of night in Clinton, Mass. No worries, no one got hurt and I got some stuff off my chest. Other than seeing where I could navigate without electronic or paper aid, I had no plans for this trip. I ended up stopping at the Burlington Mall in Burlington, Mass. and visiting “The Art of Shaving” store, where I pampered myself with a Royal Shave from the very capable barber named Jamal. An hour of pure bliss. I’m probably more vain than I should be, but I believe that this vessel that carries my soul should be treated as nicely as possible, and spending an hour getting my face shaved, buffed, shined, cleansed, buffed, steamed and massaged is one way of enjoying my life. Life should always be enjoyed. I’ve made it thus far, and I’m not even halfway through my lifetime journey. There’s so much more to see.